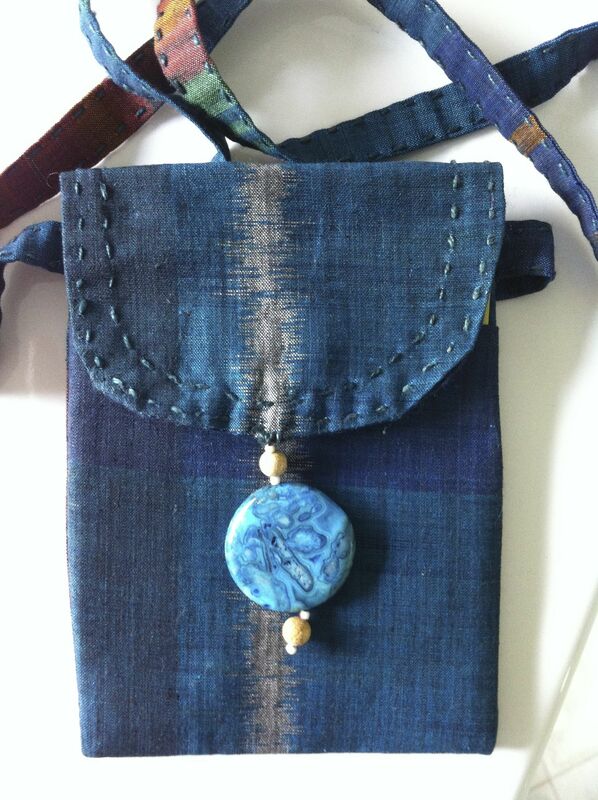 My friends from MELD, Julie and Liz, had birthdays this month and I made each a little phone bag. They hold a smartphone, a credit card, a $50 note, a front door key and the gizmo that controls the locking and ignition of the car. In other words, everything one needs to survive in the 21st century. 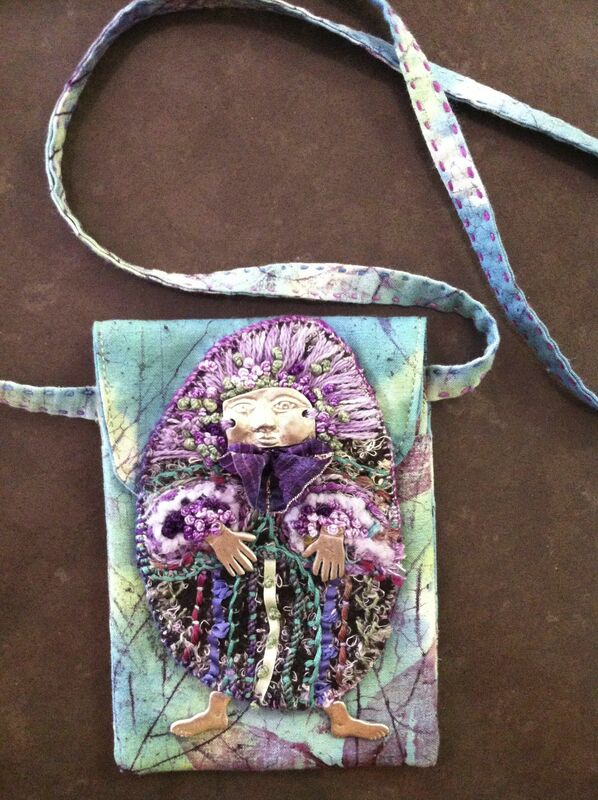 This entry was posted in fabric collage, Hand embroidery, Machine (dry) felting. Bookmark the permalink.